We know that this world is not what God intended. Where is the peace, the shalom, the universal flourishing that Jesus’ Kingdom should bring? Do the normal distractions of the holiday season, the decorations, the gifts, the busyness, the glitz, do they really help comfort our souls? Advent ( Adviento ) is the four week season of preparation for the arrival of Jesus to this world centuries ago. During this season we reflect on the expectation and anticipation of the light that was promised to enter the dark and suffering world through Jesus’ birth and the introduction of his Kingdom. 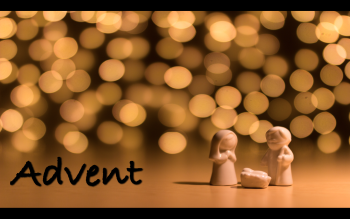 This Advent we will be looking at the classic themes of hope, peace, joy and love that are made possible through Jesus’ birth and ultimately through Jesus’ Second Coming. It will be a time to reflect on the injustice and darkness that can overwhelm us today, and how the prophets of old cried out in anticipation that Jesus’ arrival brings hope that things are changing. ….Hope, peace, joy and love.